With so many children working really hard this week, it has been a very tough decision to choose a 'Star of the Week'. 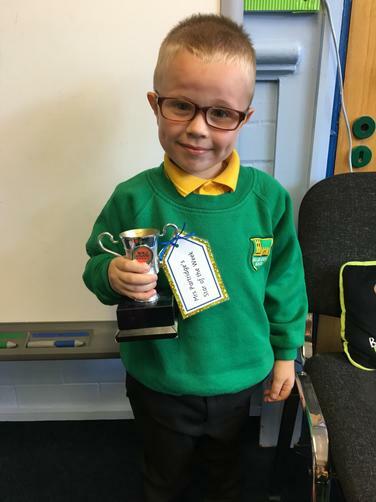 But, after lots of thought, this week's 'Star of the Week' award goes to... Michael! I have been so impressed with Michael's listening skills and his attitude to learning this week. He has been really helpful around the classroom too! Well done Michael, you should be very proud of yourself!